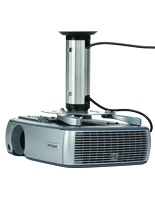 Having trouble choosing the right projector mounts for commercial or educational AV and multimedia presentations? This type of visual display equipment features a variety of technical terms that can be confusing. Overhead/ceiling or video projector mounts and retractable or portable screens are increasingly used in many industries and locations, including trade show and conference halls, schools, universities, business or corporate training centers, and even courtrooms. In many cases, projection equipment is added to rather than simply being replaced, which means that fixtures must be able to accomodate both old and new technology. From small temporary display areas at trade shows or events to larger auditoriums and classrooms with fixed projection screens and AV equipment, presentations need to take location into account as well as equipment. 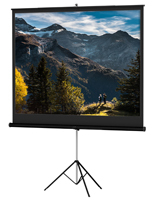 MonitorStandsNow.com offers standard, long, and short throw projector mounts, also known as AV presentation mounting accessories, in a variety of sizes, styles and configurations to provide the best possible viewer experience in almost any environment. Many of our projection display fixtures offer universal brackets that will accommodate almost any device. In addition, we provide clear, simple item specifications and descriptions that make it easy to find the best match between fixtures, location, and usage. What are the most common technical terms used for AV presentation mounting accessories? 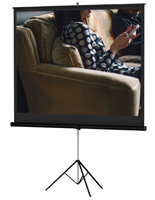 Video projector mounts refer to the distance from the projection lens to the screen as the device's "throw." In general, shorter throw results in higher brightness, while longer throw gives higher contrast. The optimal throw ratio for a standard lens is between 2:1 and 2:5. An additional benefit of using Short Throw projection equipment is that the equipment does not have to be located behind, or among, audience members. Zoom ratio applies to projection display equipment itself and refers to how much each device can increase or decrease the size of the image without moving the equipment itself. A 20% or 1.2:1 zoom ratio is the most common. This function is ideal for presentations that feature fixed elements, whether the screen or the AV presentation mounting accessories. 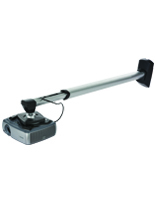 Overhead can refer to a certain type of old-school slide projecting device or a mounting style. 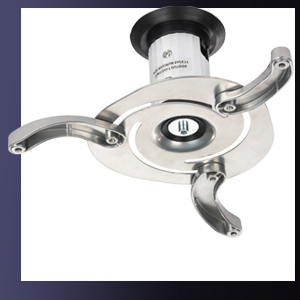 Projection equipment mounts are designed for permanent installation via overhead mounting on ceilings or wall-mounting. For event use, however, many businesses choose tabletop devices and portable retractable screens for their portable design and ease of transportation. 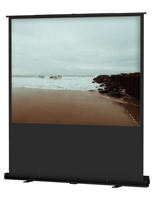 Aspect ratio refers to the proportional relationship of the width of an image to its height. 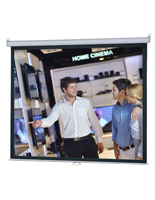 In addition to projection equipment mounts, aspect ratio also applies to the actual presentation materials. For example, depending on the software version, PowerPoint slides will default to either 4:3 or 16:9. 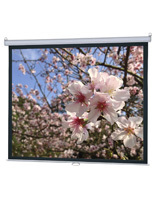 Projection display fixtures can be used with visual materials of any size. When the device aspect ratio differs from that of the presentation, areas not "covered" by the presentation will appear on the screen as black bars, similar to the "letterbox" effect on televisions. Screen Size: The actual physical height and width of the projection display fixtures. "Display size" refers to the diagonal screen measurement. Resolution: The number of individual pixels displayed and the spacing between pixels. Computer monitors and TV screens use the number of pixels (1280 horizontal x 800 vertical) to indicate resolution. PPI refers to the number of pixels per inch. Higher pixel density, not pixel size, determines the sharpness of any image on any size screen. 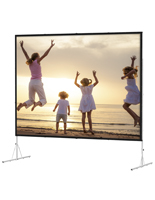 What are the standard aspect ratios used by AV projection display fixtures? 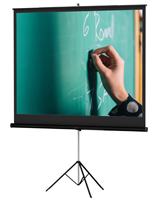 Square (1:1) screens are commonly found on overhead projection equipment in schools, training centers, universities, and classroom environments. The 4:3 ratio, sometimes called "fullscreen," is used on standard television screens, as well as older computer monitors (VGA, SVGA, XGA, SXGA, PAL). 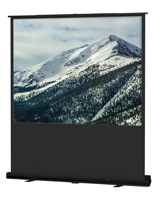 16:9 is the standard aspect ratio of HDTV and newer monitor screen models. True "widescreen" images utilize a 16:10 aspect ratio. "Cinemascope," or a 2.4:1 aspect ratio, is the most common size used for theatrical presentations. 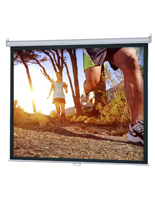 For best visibility, AV presentation mounting accessories should match screen size to the native aspect ratio of the material being presented. However, modern multimedia presentations frequently incorporate a variety of items that can range from traditional overhead transparencies to elaborate PowerPoint slideshows to recorded or even streaming video content. 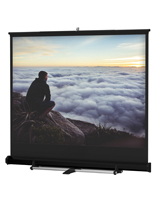 Projection screens are possibly the most important projection display fixtures for large-scale public presentations. 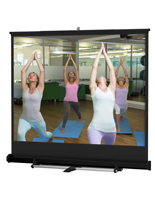 Screens for video or overhead presentations are available in manual and retractable configurations. 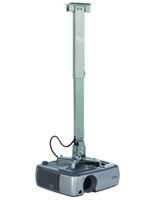 A variety of fixed installation or portable mounting options, such as tripod, telescoping, or folding bases, are available as well as floor and tabletop stands. 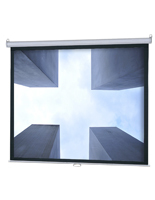 Retractable screens offer pull-down, pull-up, and side-to-side mechanisms.